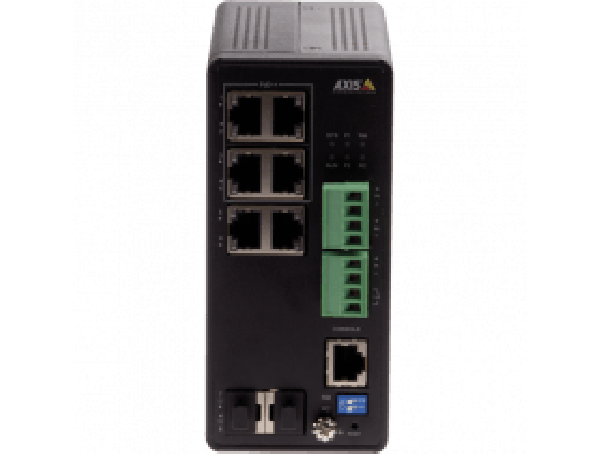 AXIS T8504-R Industrial PoE Switch is a 4-port managed industrial PoE++ Gigabit switch. In addition, the switch is equipped with 2 x RJ45 and 2x SFP data ports that allows for extra devices to be connected. 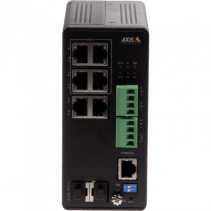 The switch uses the same intuitive administrator interface as AXIS T85 PoE Network Switch Series, is ruggedized with a wide temperature range and NEMA TS2 compliant.